B4 Angel, Won't You Call Me? 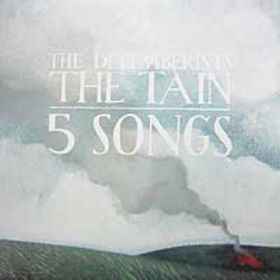 Contains The Decemberists - The Tain on side A and the The Decemberists - 5 Songs on side B. The Tain EP recorded at the Hall of Justice, Seattle, WA, August 2003. All parts on Side A (I, II, III, IV and V) run together (18:35). Tracks 1 to 5 of the Five Songs EP recorded at Type Foundry, Portland, Oregon, Winter 2001. Track 6 of the Five Songs EP recorded at Are You Listening? Studios, Portland, Oregon, Winter 2002. "My Mother Was A Chinese Trapeze Artist" was originally recorded by Colin Meloy's Pre-Decemberists band, Tarkio, appearing on their "Sea Songs for Landlocked Sailors" EP (1999).